There is just one week left of Open Enrollment Year 5 (OE5) and the American Association on Health and Disability (AAHD) has joined a statement of over 75 organizations encouraging people to make sure that they #GetCovered before the OE5 deadline of December 15. This statement can be found in our news item. If you’re interested in materials to help with outreach for the final push, we have partnered with Community Catalyst on a project aimed at spreading awareness about the open enrollment period and the upcoming deadline (with tools like the graphic below). If you want to read more about this project, check out our blog post. Community Catalyst has also prepared FAQs on the uncertainty in the marketplace for this open enrollment period. In the FAQs, you can get answers to questions which many consumers have, such as whether there’s still a requirement to buy insurance, is financial assistance available and will my plan be the same next year? AAHD is partnering with the Center on Budget and Policy Priorities (CBPP) on a project called the Consumer Assistance Coordination Hub (CACH). The CACH supports individuals and groups that provide enrollment assistance. To read more about this project, check out our blog post. 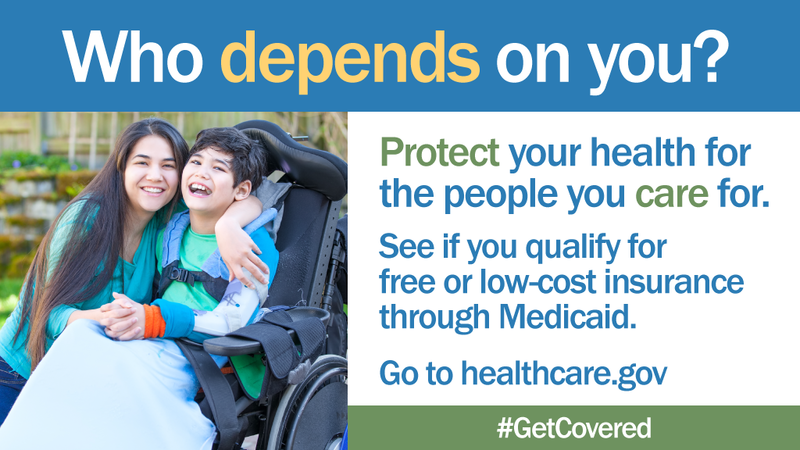 Are you planning for activities after the close of open enrollment? CBPP will be hosting a webinar as part of their Health Reform: Beyond the Basics series on Wednesday, December 20, 2017 at 2:00-3:00 PM ET. This webinar will address “Post-Open Enrollment Issues.” You can register here for that webinar. If you are wondering how the reduced navigator funding has affected vulnerable populations, there is a new issue brief from the Kaiser Family Foundation that looks at the effect that the reductions in navigator funding has had on people with HIV. To read more about the brief or to download a copy, check out our news item. The dates for open enrollment this year are different than they were in prior years as Open Enrollment Year 5 (OE5) will end on December 15, 2017. These dates apply for marketplaces on the federally facilitated exchange (healthcare.gov). Some states who are running their own state-based marketplace will have an extended period for OE5. For a complete rundown of the dates for open enrollment in the state-based marketplaces, check out our blog post. As of December 2, over 3.6 million people have enrolled in coverage through the marketplace, including 989,000 new customers. You can read more about the enrollment numbers in CMS’s Weekly Enrollment Snapshot. Do you get questions from consumers on using their coverage or seeing a doctor? A fact sheet from the University of Washington Aging and Physical Disability Rehabilitation Research and Training Center entitled “How to Get the Most Out of Health Care Visits” may be able to help. The fact sheet goes over four important areas for every health care visit: preparing, asking questions, creating a plan and receiving take-away materials. Also, be sure to check out our fact sheet on moving from coverage to care for persons with disabilities.